When you call us for heating repair, we’ll send one of our technicians over to your Huntersville, NC home as quickly as possible. When your heating system isn’t working, you need a company you can trust to get the heating repair done right the first time. At Cool Comfort Heating & Air, you can rest easy knowing that our affordable and dependable services are only a phone call away. We understand that going without proper heating, especially in the middle of winter in Huntersville, North Carolina, is not an enjoyable experience. When you call us for heating repair, we’ll send one of our technicians over to your home as quickly as possible. Even if the issue happens in the middle of the night or on a weekend, we’ll make sure you’re taken care of. 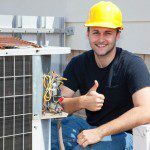 You can feel confident under our care because every one of our technicians is highly experienced and knows how to work on most major heating brands. Plus, we won’t stop at anything until we’re sure that you are 100% satisfied with our services. Don’t hesitate to contact us at Cool Comfort Heating & Air the next time you run into a problem with your heating system or if you just want to know more about our preventative maintenance programs.